Time for another Monday deal from Safeway. Super easy to redeem – if you have a smartphone just show the picture on your phone. If you don’t have a smartphone you can print it out and bring it along. It’s one per customer – and every customer needs to have their own copy of it. 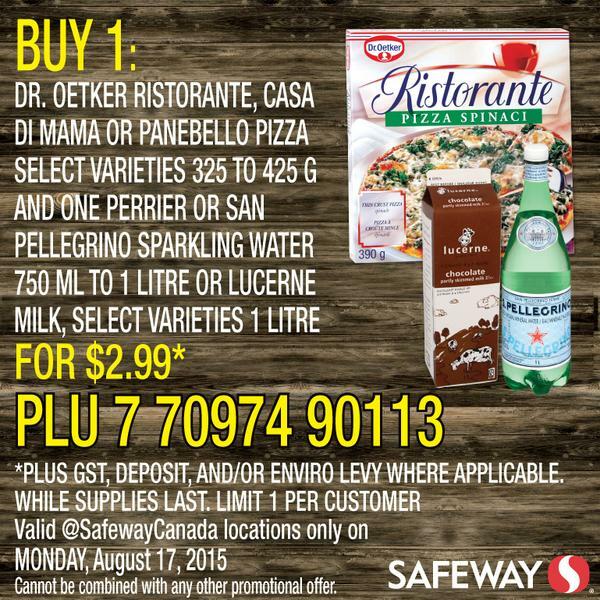 For $3 you get a pizza – and choice of milk or sparkling water! Remember this deal is for today only – so share it with friends and family. « Peak of the Market Family Fun Day 2015!